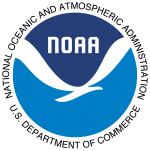 The National Oceanic and Atmospheric Administration (NOAA) is a scientific agency within the United States Department of Commerce focused on the conditions of the oceans and the atmosphere. The National Weather Service (NWS), once known as the Weather Bureau, is a part of the National Oceanic and Atmospheric Administration of the United States government. The Mission of the University of Hawaii Weather Forecast Office (UH/WFO)is to effectively use all available science and technology to provide with the highest degree of professional service accurate and timely watches, warnings, advisories, and forecasts for hazardous weather conditions affecting our customers. The University Corporation for Atmospheric Research (UCAR) Research provides innovative resources, tools, and services in support of the research and education goals of the atmospheric and Earth system sciences community. A major focus for UCP is making sure the science from NCAR and UCAR institutions are translated in novel ways to a variety of audiences and stakeholders. MetEd is a free collection of learning resources for the geoscience community. Whether you’re an experienced meteorologist honing existing skills or a student looking for new topics of interest, we have something for you. Learn more about MetEd in this short video. The Telecommmunications And Social Informatics Research Program / Pan-Pacific Education And Communications Experiments by Satellite (PEACESAT) has been working to lessen the information and communication technology (ICT) divide in the Pacific Islands region for over 30 years. The mission of PEACESAT is to facilitate “development” and “public service” communications. TheUniversity of Hawaii at Manoa, one of only 32 institutions nationwide to hold the distinction of being a land-, sea-, and space-grant research institution, UH Mānoa is ranked in the top 30 public universities in federal research funding for engineering and science and 49th overall by the National Science Foundation. The Joint Typhoon Warning Center (JTWC) is located in Pearl Harbor, Hawaii. It is called a “joint” typhoon warning center because it is a joint between the United States Navy and United States Air Force command. It is responsible for issuing tropical cyclone warnings for every branch of government, including the U.S. Department of Defense (DoD). Locations for their response include the North West Pacific Ocean, South Pacific Ocean and Indian Ocean. International Tsunami Information Center is located in Honolulu, Hawaii. It is hosted by both NOAA and the NWS. The ITIC’s mission is to reduce the hazards caused by tsunamis by means of preparations and tsunami warning mitigation systems for all Pacific Ocean nations.